You are Here: Techarta » Tech News and Facts » Which Gaming Laptop is Right for You? Gaming enthusiasts know that if they want to experience the best quality a console game can offer, then gaming on PC’s is the best way to go. For extra power and performance, a Desktop is often believed to one of the best options. However, for those of us on the go, portability is often essential and sees us turn to Laptops. Finding the best gaming laptop that doesn’t sacrifice too many frame-rates can be difficult, but there are some simple steps to make your search easier. Gamers using laptops, instead of desktops, don’t need to make sacrifices in their purchases, or their game play. Ensure that your purchase has ample power, function and accessories such as USB ports, decent speakers, a webcam, microphone and a multi-card reader. 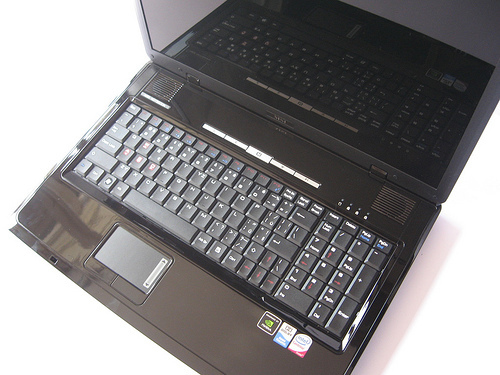 Mid to high end gaming laptops will also offer Blu-ray disc drives and HDMI and eSATA ports. The following best gaming laptops meet all these criteria and depending on your specific needs and budget, there is a gaming laptop out there for everyone. Also take a look at the Acer Aspire Ethos 8951G, the Alienware M14x, the MSI GT780DX and the Rock Xtreme 786 for great laptop gaming capabilities that won’t disappoint. Natalie Bracco is a freelance writer and an amateur baker. When she's not busy in the kitchen, you can find her writing about technology, travel, food and finance. Follow her on Twitter @nataliebracco. Add the prices also if possible..